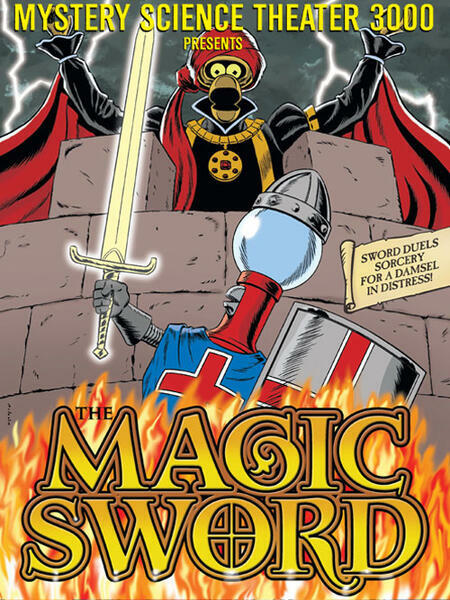 The Magic Sword is just like any other fairy tale. Child raised by a sorceress? Check. Damsel in distress? Check. Parents slain by the plague? Checkity, check! Honestly, we’ve covered much worse films. Then again, none of those movies had Basil Rathbone playing an evil wizard with a name straight out of a stifled sneeze. Said sneeze wizard has captured the hero’s princess and has threatened to feed her to his dragon in seven days. So, think The Ring but with mythical fangs. Luckily, the princess has nothing to fear. George is on the way with his team of magical yet plainly named knights. Who will save the day? Sir Pedro, Sir James, or Sir Dennis of the house of Menace? All this, plus: Big Gulp Berets, a singing Crow, and a surprise cameo from Vampira! 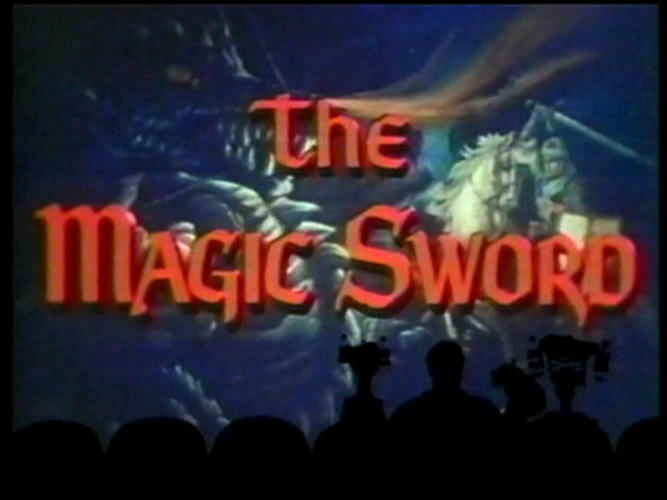 Join Joel, Servo and Crow as they put the “ex” in “Excalibur” for The Magic Sword!